Safety skirt with pockets for the Ovalie 4.90 m trampoline. 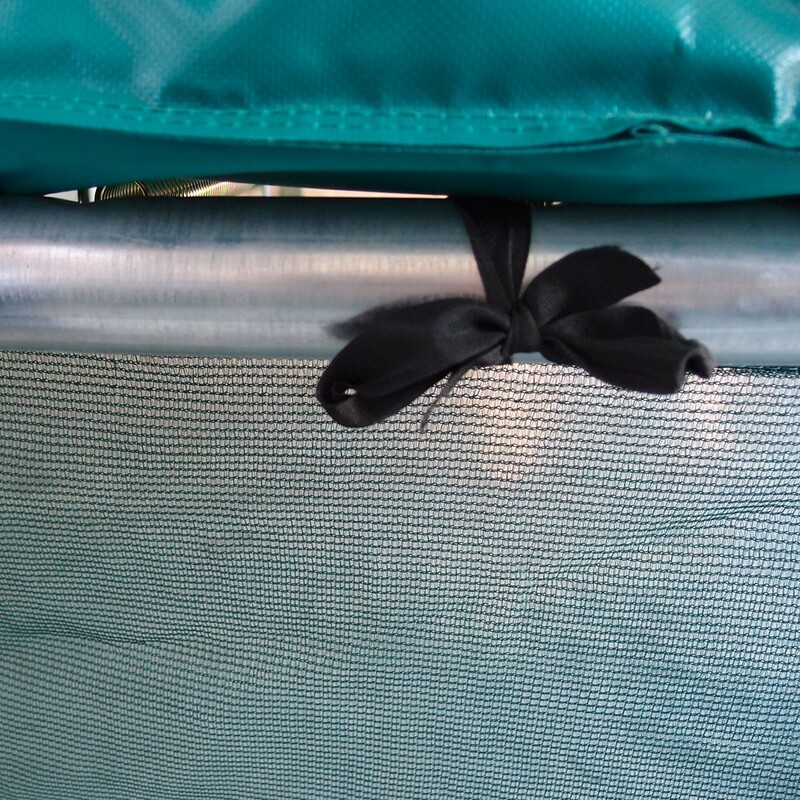 The safety skirt is positioned on the lower part of the Ovalie 490 trampoline, preventing access to the dangerous underside of the trampoline. It is essential to prevent access to this area of the trampoline, more especially regarding curious children and pets. They would be in real danger if they were under the trampoline when someone began to jump on it. The powerful springs mean that the jumping pad gets very close to the ground, which is perfect for your dynamic jumps, but dangerous if a child were hiding under the trampoline. - However, if a child were to manage to hide underneath, the small webbing on the skirt allows you to look through it. You will therefore easily be able to tell if your children are underneath and get them out before they get hurt. - Designed with an integrated shoe bag with 5 pockets, the safety skirt is an asset for your trampoline. It is a fundamental accessory to put shoes, snacks, and personal objects away, children and adults alike will love it. Its five big pockets will allow you to protect all of your objects. 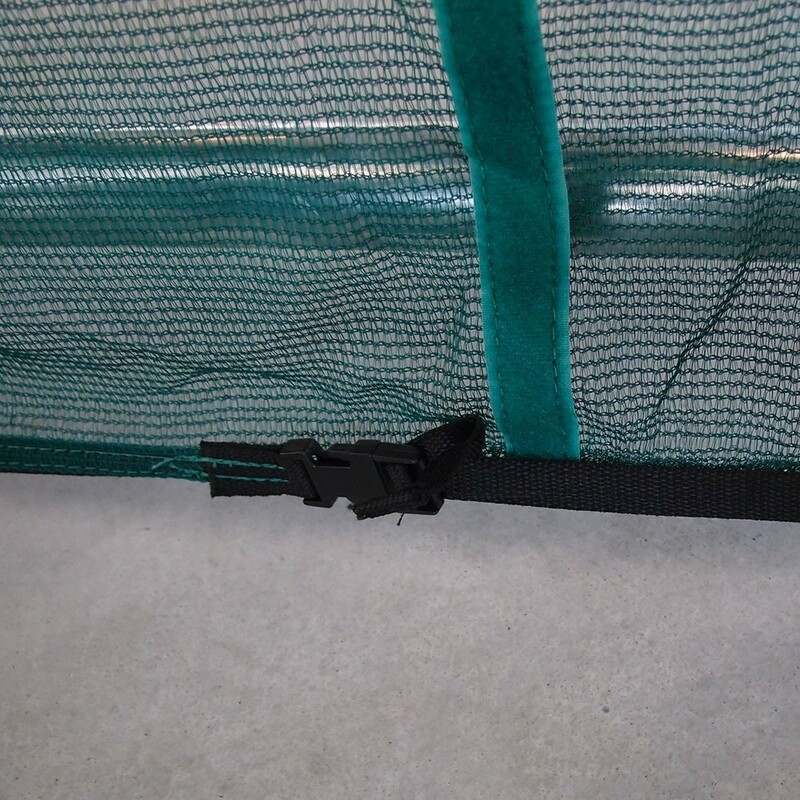 - This safety skirt is fixed on to the steel framework of your trampoline. To hold it in place, metal rods are used to hold it into the ground. 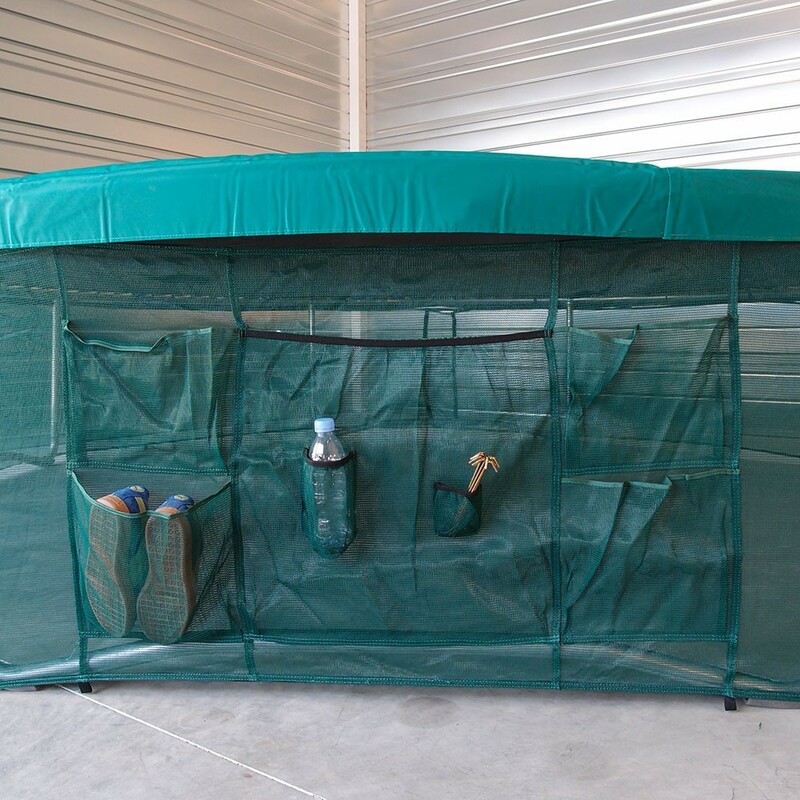 Once the safety skirt is in place, it is easy to add a Premium enclosure to protect the higher part of your trampoline. - The safety skirt is green, so it will blend into your garden.